I’ve often wondered why some paintings rise to international fame and become an icon of sorts in the art world. What is that secret recipe? So I thought I’d aim that question at the most famous and recognizable painting in all of history, the Mona Lisa. 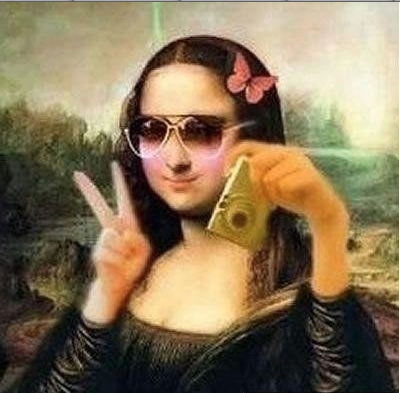 After doing some reading (mind you, I have not become an expert on the subject) and watching some documentaries, I’ve decided on four factors that seems to have thrust the Mona Lisa into the fame she has now secured for all of time. When a painting or an artist has risen to great fame, you can guess that it’s in part to the artist either breaking the conventional rules or coming up with a new way of doing things that either ends up in praise or scrutiny. It doesn’t seem to matter whether the artist is recognized in his day for their genius, as in Leonardo’s case, or discarded as in Van Gogh’s day. You can also bet that a long string of other factors will add to the interest of the painting or artist and will create a snowball effect toward fame. • Only about 15 of Leonardo’s works remain and many of them are unfinished. • He worked on her for four years. • She was never signed or dated. • Leonardo traveled with her for years, showing her off to the praise of her viewers. 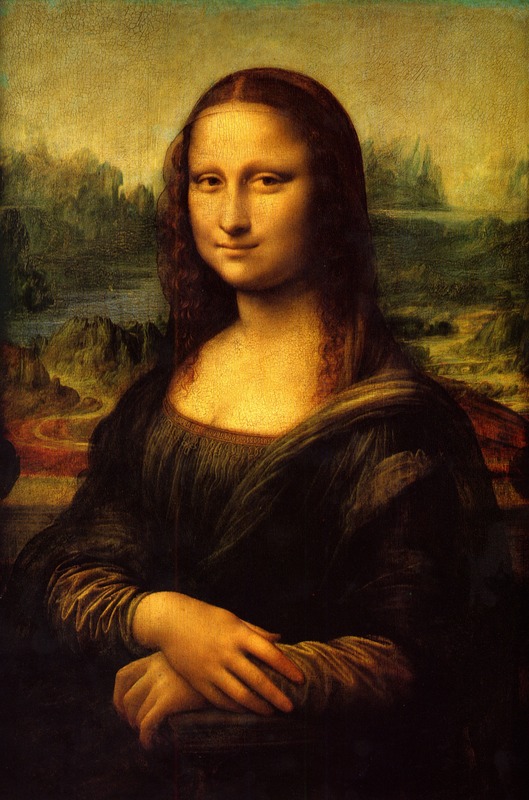 • After Leonardo’s death, she became the prized possession of French Kings for several hundred years then passed out of favor due to one King’s taste and a few other more interesting art movements here and there. 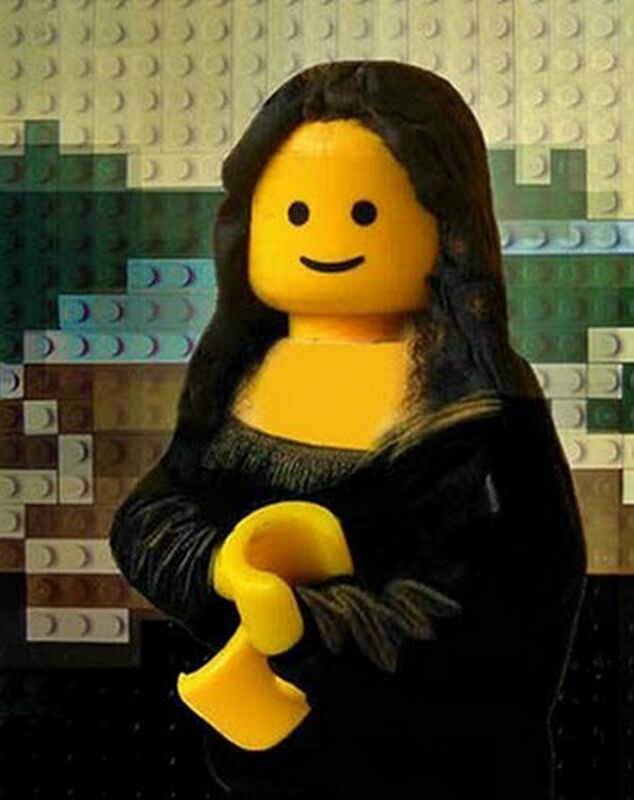 • The Mona Lisa didn’t have any startling significance to project her current place of fame: It is comparatively a small painting. She is not any woman of great importance. It is not a painting depicting an important event. She doesn’t express a political opinion. There is only the simplicity of the painting. • Mona Lisa hung in Napoleon’s bedroom for many years. • Model position – The three quarter positioning of the subject’s shoulders, the turned head and the eyes looking directly at the viewer had not been done before. Since the Mona Lisa, artists began copying his model placement. • New Technique – Leonardo created a new technique which he named “Sfumato”. (Painting in thin layers). • New Realism – The background fades into the distance and is painted with recognition to “atmospheric perspective” which is the natural haze and bluish coloration that effects distant objects. This was the first painting to show the background in this realistic way. Kings had her in their possession for hundreds of years. Poetry and songs were written about her. A movie also took this icon to the next level as being the most famous, well-known piece of art in the world. Read a small handful of articles and no doubt you will see the word “enigmatic” several times in reference to her smile. It is difficult to capture this slight facial gesture and in the day it was painted, this was simply not done at that time. From scans, to zoo codes, to scholars reading into the background and speculating on who she is, whether Leonardo painted his own face under hers, or what he hid in the landscape, the mystery grows because of the lack of information which increases the snowball effect of interest. Her eyebrows are missing due to either over cleaning after the varnished yellowed the painting before the 1600’s, or it is because women used to pluck their eyebrows into oblivion in that day because it was thought to be beautiful. The list of unanswered questions and addicting speculation goes on and on. • She traveled for years in Leonardo’s possession. • She was stolen which only added to the fame. • She survived a thrown rock (causing damage to her left shoulder), a mug of coffee thrown at the bullet proof glass, termites in the wooden cross braces, moisture (causing a long crack above her head) and acid thrown at her causing irreparable damage to her dress. So to conclude, I don’t believe any painting’s fame is just chance, as this one article implies. (http://www.npr.org/2014/02/27/282939233/good-art-is-popular-because-its-good-right ) She was revolutionary in her day. Leonardo was a master recognized in his lifetime and with the Mona Lisa new standards of painting technique, realism and portraiture were presented for the first time. However there are many other factors, which pushed her into the limelight including the mystery itself as to why she’s famous at all. It is a cycle that ultimately leads her into….increased fame. I believe if the amount of time spent on digging for answers on the Mona Lisa was spent on other paintings, we might find more gems of meaning and intrigue. So, dig away. I am thoroughly enjoying my journey through art history as intimidating as it is. This entry was posted in Art History, Artists. Bookmark the permalink. ← What is it about Van Gogh?